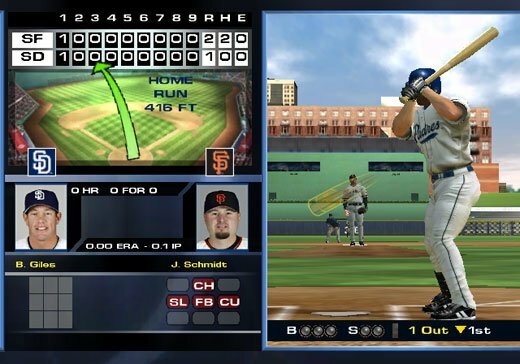 According to a source close to Nintendo, who wishes to remain anonymous, claims Nintendo has a secret up its sleeve when it comes to its exclusive GameCube baseball game, Nintendo Pennant Chase Baseball, which was mysteriously and abruptly "delayed indefinitely" mid last year. We've been told that since the disappearance of the game, Nintendo has definitely pushed the title to its next-generation console, where it will debut as their premiere sporting launch title. The last time we heard, the game was to include Major League Baseball players and ballparks, with real stat tracking, for a simulation take on America's favorite pastime. But now there's an even more promising future for fans of the sport, as you can only begin to imagine how much of a killer title this really will be, with full Revolution controller support. I wasn't too excited about this game when Nintendo showed last year. However now with the prospect of using the Revolution controller as a Baseball bat, the stock of the game has just went through the roof and I can't wait to see what we can do with it.